On October 11, 2016, a panel of the U.S. Court of Appeals for the District of Columbia consisting of Judges Henderson and Kavanaugh and Senior Circuit Judge Randolph decided the case of PHH Corp. v. Consumer Financial Protection Bureau. The panel majority held that the structure of Consumer Financial Protection Bureau (CFPB), a creation of the Dodd–Frank Wall Street Reform and Consumer Protection Act (Pub.L. 111–203, H.R. 4173, commonly referred to as Dodd–Frank), was unconstitutional, in that it vested enormous power in an agency headed by a Director who cannot be adequately supervised by the President because of the five year term the Director’s serves, the lack of Congressional control over the CFPB’s funding, and the fact that the President can only remove the Director “for cause” even though in theory the President should have more authority over such officials. The panel concluded that this structure thus violates the U.S. Constitution’s separation of powers. All members of the panel agreed that the administrative enforcement action under review and a civil penalty of $109M must be set aside because the CFPB misconstrued and misapplied certain precepts of administrative law and important provisions of the Real Estate Settlement Procedures Act of 1974. 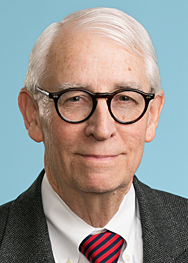 In addition, Senior Judge Randolph stated that the actions of the CFPB’s Administrative Law Judge (ALJ) were invalid because his legal status was constitutionally infirm under the Appointments Clause. A petition for en banc review was submitted and, on January 31, 2018, the en banc panel granted the petition for review, holding that the majority of this panel saw no constitutional defect in Dodd-Frank’s provision limiting the President to discharge the Director only for cause. However, the en banc panel upheld and reinstated the original panel’s decision granting relief to PHH Corp., and thus reinforced several important teats of administrative law pertinent to the interpretation of statutes, the bar against a retroactive enforcement of new interpretations, and the application of relevant statutes of limitation on civil and administrative enforcement actions. The authors of the original panel decision filed dissenting opinions, taking issue with the en banc majority’s reading of the U.S. Constitution and applicable U.S. Supreme Court precedents and the overarching separation powers issue. Judge Henderson described the CFPB as “an agency like no other” because of the Director’s ability to exercise immense power without any significant check by the President or Congress. The case generated seven separate opinions totaling 250 pages. The agency’s use of ALJs may be affected by whatever decision the U.S. Supreme Court renders in a case involving the validity of ALJs routinely used by the SEC (Lucia v. SEC). The case would seem warrant further review by the U.S. Supreme Court, especially with the change in Presidential administrations, but you never know. This new case could have consequences—down the road—for the structure and operation of “independent agencies” headed up by a single administrator.